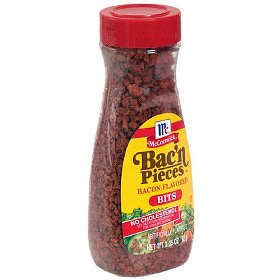 Bacon Bits are definitely a thing of the late 80’s / 90’s. Maybe they haven’t gotten all the way up to 88 though, I still see them in salad bars. This entry was posted on Wednesday, July 29th, 2009 at 2:12 pm	and is filed under Food / Drink.